The Grind Wrestling Club believes that the sport of wrestling prepares young athletes for the journey of life. Through the sport of wrestling, we strive to instill the values of discipline, work ethic, leadership, teamwork, courage, perseverance, respect, and integrity. Through triumph and defeat, our wrestlers learn how to face and overcome life's most difficult challenges. We are committed to making an enduring positive impact on each of our athletes. Interested in joining The Grind Wrestling Club or learning more? Call us at 678-806-9756 or email us at info@thegrindwrestling.com. 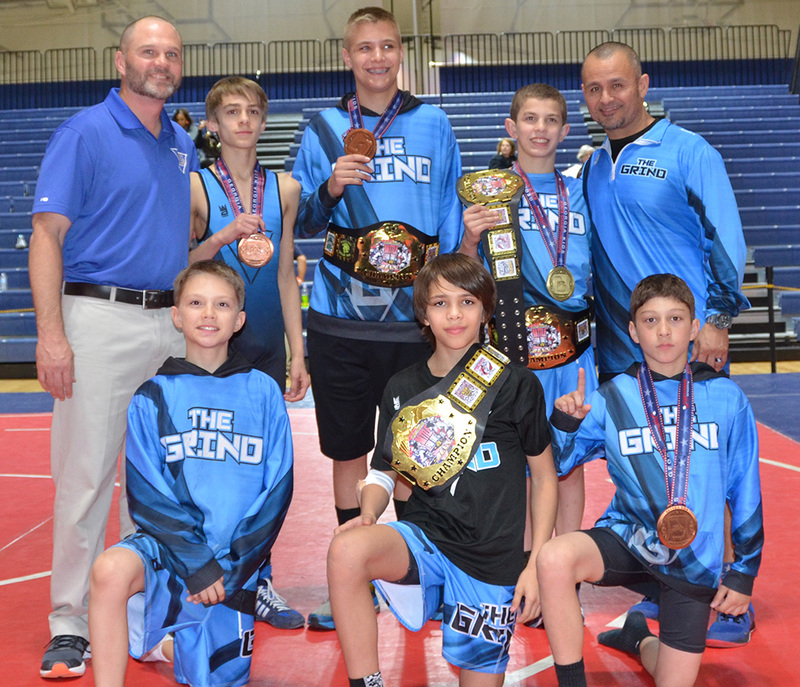 The Grind Wrestling Club's mission is to build champions both on and off of the wrestling mat. Through rigorous training of the mind and body, our wrestlers learn how to continuously improve and reach higher levels of success. The Grind Wrestling Club's core values apply equally to wrestling and to life.